What would happen if Avian Influenza was not resolved? 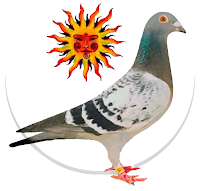 Although everything seems to be already resolved, if not, we have the solution, for only 1 € a month and pigeon, we will keep their pigeons in perfect condition and ready for competition, so at the time the suspension is Raised, the competitions would begin. Don't doubt and send your pigeons to the hardest derby, best prepared and whit the best price - prize offers you. At the Derby Internacional Cordoba, we do not seek profit, we seek your friendship.